If your business is running forklifts, chances are you need a propane supplier. Maybe you have been ordering from one of the gas giants. How responsive are they to your company’s needs? Most likely, you have found that you are an account number and a monthly check to them, and that it is you who has to bend to their limitations, instead of the supplier accommodating you. 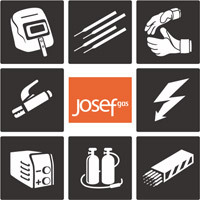 At Josef Gas, we recognize that, at the end of the day, we make our living by giving our customers what they need, when they need it. We are a mid-sized company with our own fleet of cylinder and bulk gas delivery trucks, operating throughout the Greater Toronto Area. We do not have a regional dispatch center running thousands of trucks, like many unbreakable lines of ants. We have field representatives driving our delivery trucks, and because we are not trying to check off some corporate metrics on a chart, those representatives are able to offer our customers flexible options. If you need an extra refill in between your regular deliveries, we can do that. If you want to change your schedule, we will do it now, and not in two weeks. We have been working with the same gas suppliers for 40 years. We have long-standing relationships and long-term contracts that allow us to supply our customers with propane at the best prices. Josef Gas saves its customers even more money by not charging the endless string of fees that other propane suppliers charge. Say goodbye to the Environment charges, Hazmat charges, and Barcode charges. We will bill you for the product you receive and for delivery: nothing more. You need a propane supplier that can support your business and accommodate your needs. Break free of the gas giants; you do not need to be a cog in their machine. If you are ready to do business with a supplier who knows your name and wants to earn your business, we invite you to request a free quote online, or give us a call at 416-658-1212 to speak to one of our representatives for more information or help with a quote.